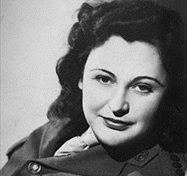 On this date in 1940 the British government created the Special Opera­tions Exec­u­tive (SOE) organi­za­tion. For security pur­poses the SOE was con­cealed behind the name “Inter-Service Research Bureau.” (At the time the SOE was variously refer­red to as “the Baker Street Irregu­lars,” “Chur­chill’s Secret Army,” or the “Minis­try of Ungentle­manly War­fare.”) The SOE was in­spired by Bri­tish Prime Minister Winston Chur­chill’s fas­ci­na­tion with covert intel­li­gence gathering and guer­rilla war­fare (going as far back as his 1895 stint as a war cor­res­pon­dent during the Cuban up­rising), and it was modeled on the Irish Repub­li­can Army (IRA) during the troubles in Ire­land (1916–1921). Per­haps more than any other poli­ti­cal leader of his age, Chur­chill shrewdly valued good intel­li­gence and its wise appli­ca­tion to affect the out­come of any struggle; e.g., the use of ULTRA during the North African cam­paign and more famously during the Battle of the Atlantic. Hence Chur­chill’s dual charge to SOE opera­tives: con­duct espio­nage, sabo­tage, and recon­nais­sance in enemy-occupied (some­times neu­tral) Europe, and aid local resis­tance move­ments against their Axis occu­piers. (Volun­teers engaged in small- to bat­talion-size guer­rilla opera­tions behind enemy lines were employed in the Special Ser­vice Bri­gade (later British Com­mandos), which was formed a month earlier, in June 1940. The com­mandos ini­tially drew recruits from British Army regi­ments and were led by British Army officers.) Some 13,000 peo­ple from all walks of life, among them 3,200 women, found ser­vice in SOE’s research, pro­pa­gan­da, com­mando, and (mostly) clan­des­tine opera­tions, supporting or supplying roughly one million opera­tives world­wide. Opera­tion Anthro­poid was one of the more famous opera­tions carried out by SOE opera­tives—the gre­nade attack on Deputy Reich Pro­tector Rein­hard Hey­drich in Prague, Czecho­slo­vakia, on May 27, 1942, that mortally wounded him. 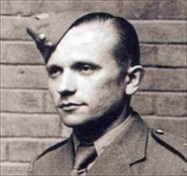 (The SOE described Hey­drich as “probably the second most dan­gerous man in German-occupied Europe” after Hitler him­self.) Hey­drich’s death on June 4, 1942, from car­diac arrest stem­ming from blood poi­soning led to a wave of repri­sals, including the arrest of 13,000 people, the killing of 5,000 civil­ians, and the destruc­tion of several Czech villages by German troops. 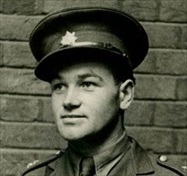 Middle: Jozef Gabčík (1912–1942), a Slovak soldier in Czechoslovakia’s army-in-exile in England. Using an anti-tank grenade Kubiš and Gabčík waylaid Heydrich on May 27, 1942, as he commuted in his open-topped Mercedes-Benz between his home and office in Prague Castle. The killing of Heydrich led to the predictable gory aftermath of Nazi reprisals, including the death of the two Czech patriots as well as the systematic and total destruction of the Czech village of Lidice. 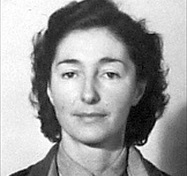 Right: New Zealand-born SOE agent Nancy Grace Augusta Wake (1912–2011) became a prominent leader of one of the Maquis bands (rural guerrilla bands) of French Resis­tance fighters. By 1943 she was No. 1 on the Gestapo’s most-wanted-persons list, with a five-million-franc price on her head. From April 1944 to the liberation of France, Wake’s 7,000+ maquisards fought 22,000 Ger­man SS sol­diers, causing 1,400 casualties, while taking only 100 themselves. 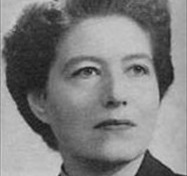 Left: Romanian-born Vera Atkins (1908–2000) was the highest-ranking female official in the French section of the SOE, recruiting and inserting hundreds of agents, including 39 female agents, into France. After the war she served as a member of the British War Crimes Com­mission, gathering evidence for the prosecution of war criminals while also tracing the fate of 118 of her agents who never returned. The French government appointed Atkins Commandeur of the Légion d’Honneur in 1987. Middle: A widow after her husband, a cap­tain in the French Foreign Legion, died at El Ala­mein, Violette Szabo (1921–1945) was recruited into the SOE. Para­chuted deep into France on June 7, 1944, her second trip there (her first had been to Cher­bourg in April 1944), she was tasked with coor­di­nating the work of the local Maquis in the Limoges area in the first days after D-Day. She was captured by the German SS, handed over to the Gestapo in Paris where she was inter­ro­gated and tor­tured, and then sent to Ravens­brueck, the noto­rious women’s con­cen­tra­tion camp in Northern Germany, where she was exe­cuted in January 1945. She was only 23. For her courage she was post­humously awarded the George Cross and the French Croix de Guerre. 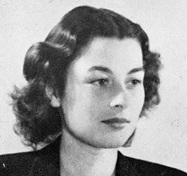 Right: Polish-born Christine Granville (1908–1952) was said to have been Churchill’s “favorite spy.” She became a British agent months before the SOE was founded in July 1940 and was one of the longest-serving of all of Britain’s war­time women agents. Para­chuted into south­eastern France a month after D-Day, Gran­ville worked to link Italian parti­sans and the French Maquis for joint opera­tions against the Germans in the Alps and in­duce non-Germans, especially con­scripted Poles, in the Ger­man occupa­tion forces to defect to the Allies. Her exploits were recog­nized with the George Medal, the Croix de Guerre, and the Order of the British Empire (OBE).